Immersed as I am in a traditional art degree, with side helpings of photography and web design, my textile art has gone out the window. While I'm learning to appreciate frescoes and suchlike, I have not lost my love for fabrics which I still consider to be vastly underrated. 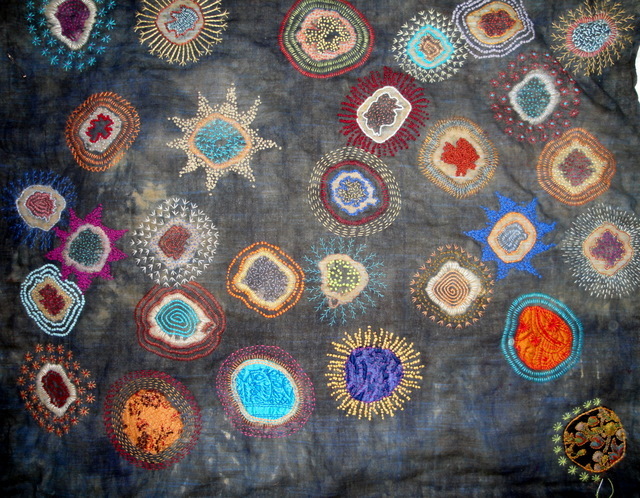 In order to get inspired, I've enrolled in Dijanne Cevaal's online course "Travellers' Blanket". You can see more about it on her blog, and here's a photo of what she's doing. Yes indeed, that is embroidery that you can see. 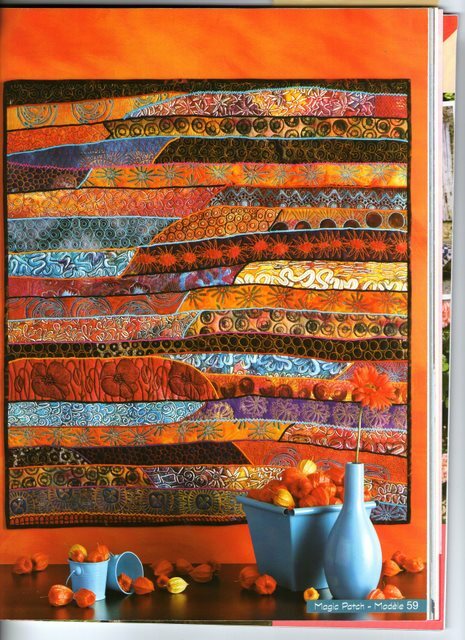 This is actually a quilted project, because it has 3 layers. Click on the image to make it larger so you can see all the wonderful stitching. Interested in doing the Travellers' Blanket after seeing these? You can enroll for only A$50 and it's open till August 13th. Contact Dijanne by email - it's on her blog.